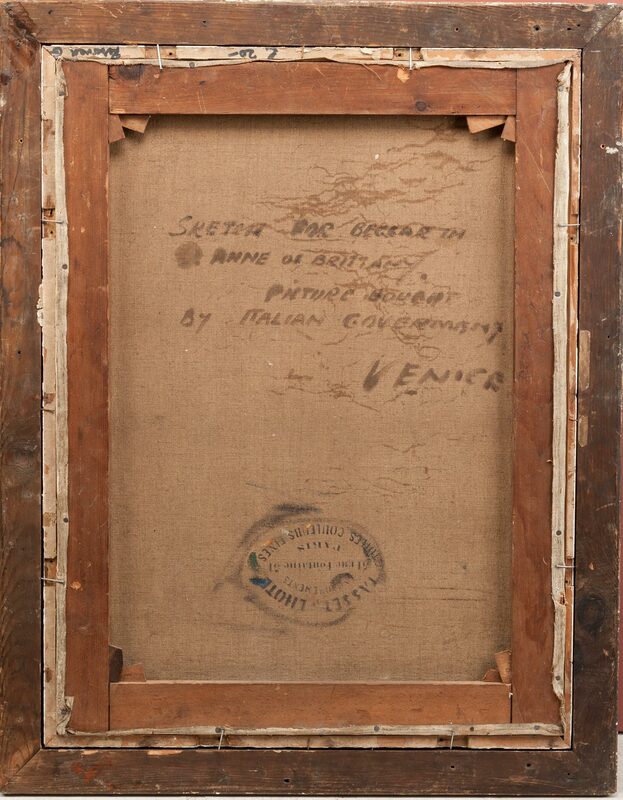 A sketch in oil by Robert Brough for the 'Beggar in Anne of Brittany'; the inscription to the reverse states that it was bought 'by Italian Government, Venice'. Robert Brough (1872-1905) was born in Invergordon. As a young and emerging artist Brough showed huge potential but his life was cut short following injuries received in a railway accident at Cudworth station in Yorkshire, 1905. He entered the Royal Scottish Academy and in his first year took, amongst other awards, the Stuart Prize for figure painting. In 1894, after two years in Paris, he settled in Aberdeen, as a portrait painter and political cartoonist. Two of his paintings 'Twixt Sun & Moon' and 'Childhood of St. Anne of Brittany' were at the Venice Municipal Gallery. In 1897 Brough moved to London and became a friend and prodigy of John Singer Sargent. This painting inscribed lower right 'To My Friend Mann'. It was towards the end of the 19th century that Glasgow experienced an economic boom resulting in an increase in distinctive contributions to the Art Nouveau movement, particularly in the fields of architecture, interior design and painting. 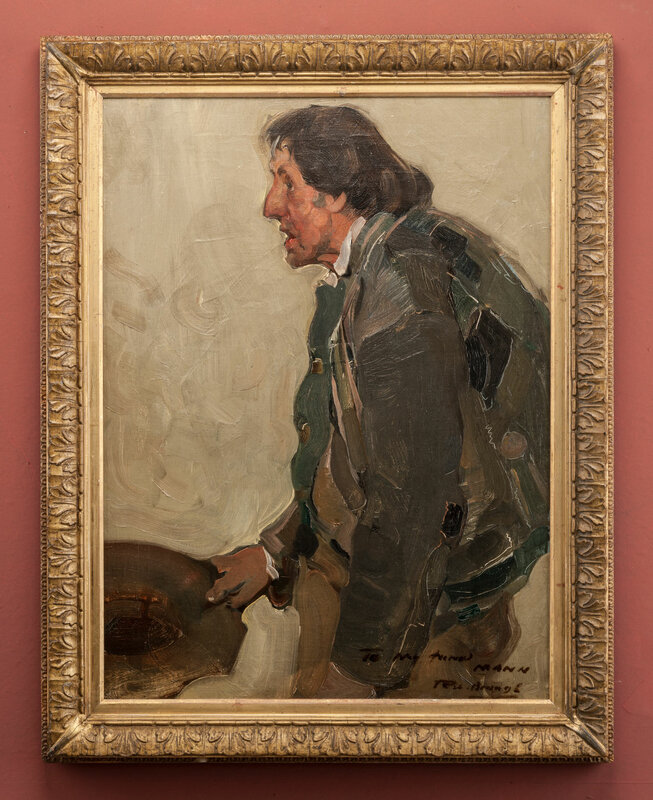 From this grew a group of painters known as the Glasgow Boys; amongst their members was Harrington Mann. Both Robert Brough and Harrington Mann exhibited at the Venice Biennale in 1897. This painting in oil on canvas and within a period 'Watts' frame.